One of the nice things that a GM can provide is a sense of Plot – a larger narrative that helps to structure the story the group is telling. If we get rid of the GM, we risk losing this fun narrativist element, no? In fact, no – there are all sorts of fun ways for a group to get together to create interesting and surprising overarching plots collectively, without a GM. What follows is the system I use. Feel free to try it out! For the record, I think perhaps something like this could have some potential even in a standard GM-and-players game – for some groups, at least. 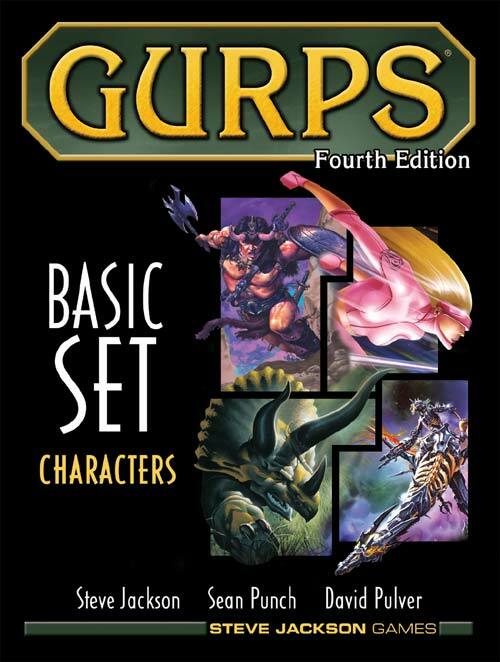 Each player should come up with a Personal Plot for their character. “I am the rightful heir to the Throne of Ardula, and I’m going to get my kingdom back! “The Elf Princess is struggling to keep a grip on the Wildwoods, and she needs our help! If you can’t come up with plots right away, don’t worry! You can always leave a blank for now. Plots can be invented, changed, or abandoned at will, and the events of the campaign usually suggest some appropriate ones pretty quickly. During the course of the campaign, each character accumulates Personal Plot Elements toward their personal plot(s), and the group accumulates Central Plot Elements toward the Central Plot(s). You gain a Plot Element whenever you reach a milestone – or encounter a twist – on the way to the resolution of your plot. “I tracked my sister’s kidnapper to the village of Wintersby – only to find out that he sold her to slave-traders, heading south! Once you have accumulated at least 3 elements toward a plot, you can choose to resolve it. This means coming up with a good narrative resolution, of course! Mechanically, it also involves turning in all your plot elements in exchange for points, which can be used to buy things you might reasonably expect to gain from the resolution: Wealth, Signature Gear, new abilities – anything the narrative justifies. You can also wait to accumulate even more plot elements before resolving the plot – and if you do, you get more points for it in the long run! Resolving your Personal Plot means points for you; resolving a Central Plot means points for everyone. Starting Each Session: What’s At Stake? If you have a GM, then they will obviously determine if and when opportunties to accumulate plot elements come up. But how do you do it without a GM? 3-4 A Personal Plot Element for a randomly selected a character. 6 A Central Plot Element and Two Personal Plot Elements for two different randomly selected a characters. If a Personal Plot Element is at stake, then the group’s roleplaying task this session is to arrange a genuinely challenging opportunity for a randomly chosen character to make progress in relation to their Personal Plot. If the group manages to arrange this, and if the character succeeds, then the character concerned earns a Personal Plot Element, and everyone earns a point. If a Central Plot Element is at stake, then the group’s roleplaying task this session is to arrange a genuinely challenging opportunity for the characters to make progress in relation to the Central Plot. If the players manage to arrange this, and if the characters succeed, then the group earns a Central Plot Element, and everyone earns a point. Q. Ah, but what does “Genuinely Challenging” really mean? Good question. Really, the only answer is that it’s genuinely challenging if everyone at the table agrees it’s genuinely challenging. One way to judge this is simply to ask whether there is any real risk of failure. “But I could have critically failed my roll!” doesn’t count here – the challenge certainly needs to be greater than that! But a 15-25% chance of failure would probably be ok, if something rests on it. Another rule of thumb by which to judge: if you’re using all the rules I use, then a “genuinely challenging” encounter could be, for example, an encounter in which the stakes have been raised twice or more. See Raising the Stakes. 8n another comment, I asked you about using a framework to help your story. I really like this, it works like a framework. As you learn more about the world and your character(s), you get PPE & CPE. It seems it would work out very much like the “Hero’s Journey”. I’ve been unable to get a framework to help me because I was trying to apply it too early it seems. This system reminds me of “Ironsworn”.